WARNING: I'm not a tutorial type of person. 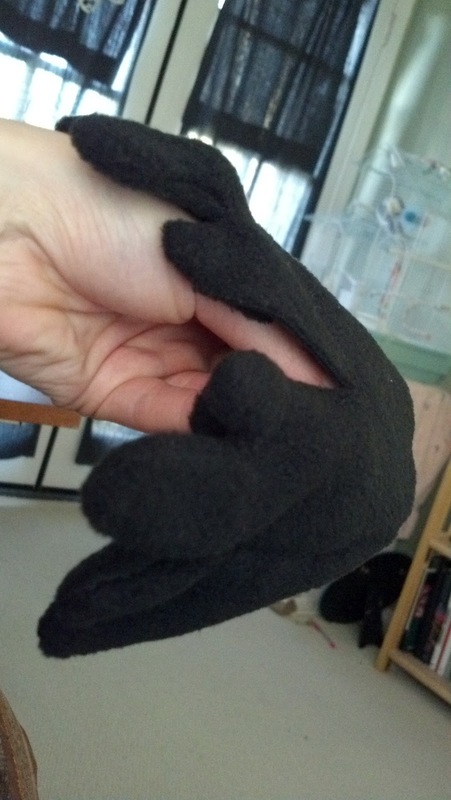 It takes me way too much extra effort just to write down a pattern while I crochet, so figuring out a so-called "tutorial" for sewing a dragon? Yeah--good luck. And that "good luck" really is for you, because if you are going to try and decipher this you deserve a metal. In any case I have lots of pictures. I deeply request that anyone ask questions in the comments so I can answer them there. That way when the next person goes "WTF is she talking about?" maybe the answer will be below. 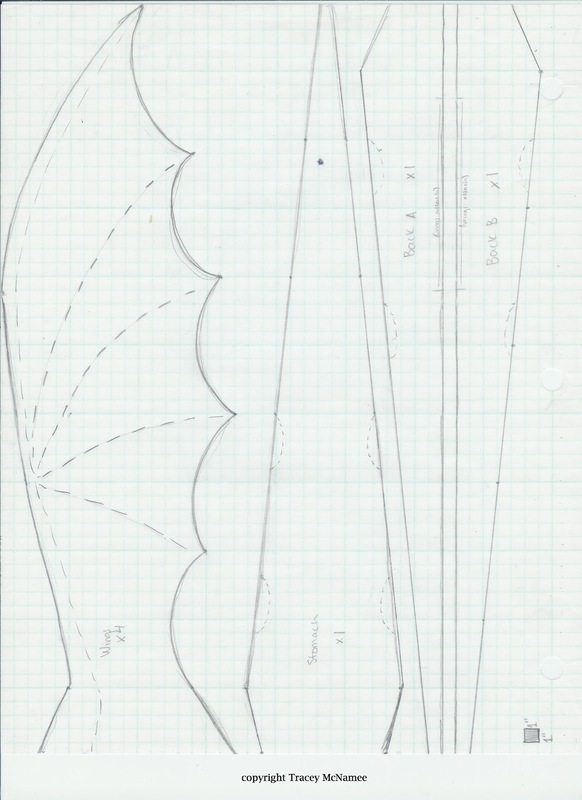 PATTERN: I completely redrew the pattern on handy graph paper. Please keep in mind that this pattern was heavily influenced by another on deviant art (which of course I can't find now). However when I first tried that pattern I was so disgusted with the outcome that I made this one instead, so maybe it's a good thing I don't give them "credit" as I may actually be insulting them instead. I have brief directions on the side, but you need the big version to really read them correctly. I've added them in their original size on their own page. OK below is a general "how I fit together" sketch. If you're not a visual person then this will mean nothing to you. Right, on to the other part....actually putting him all together. I don't know why but I always start with his head. Take all his head fins and bits and get them lined up! 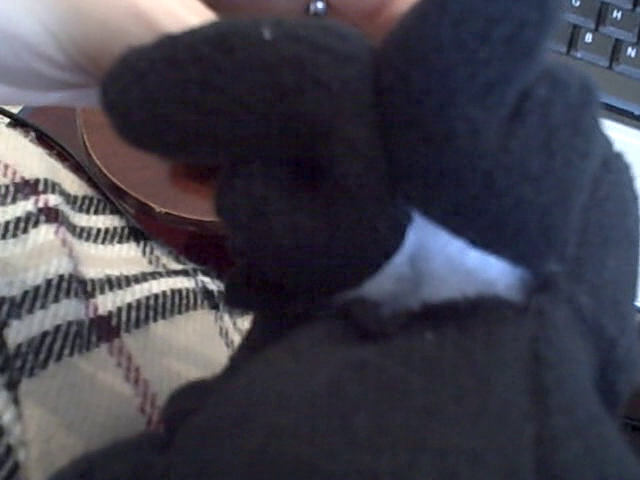 Oh and I started always hand sewing his head. I hate taking all those turns with the machine. B) Sew the jaw pieces to the side of the main head piece, you'll also sew the two front "nose" edges together of the jaw pieces. 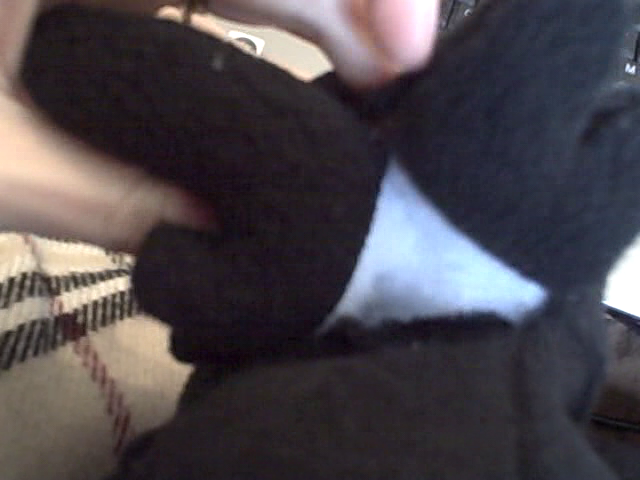 C) Make sure the right side is out (so the seam in inside) and sew on the head fins. 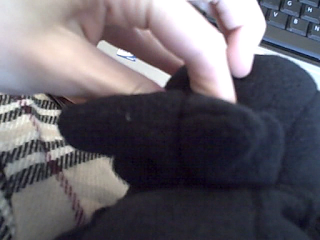 Just double check that when you turn them inside out the seams are in the right places. D) Tadaa. A head. You'll sew one of the 5 little bumpy guys in the slit there. OK set the head aside. Wings: 1 - lay two of the wing cuts outs lined up on each other. Sew the outline leaving the indicated space open (see pattern). 2 - Turn inside out. Start sewing the "design" lines for the wing detail. 3 - Tadaa. 4 - Repeat. Follow the same steps for the other fins (side and tail). Legs: 1 - Make sure you have all the bits. Put the bumpy bit in the two leg pieces. 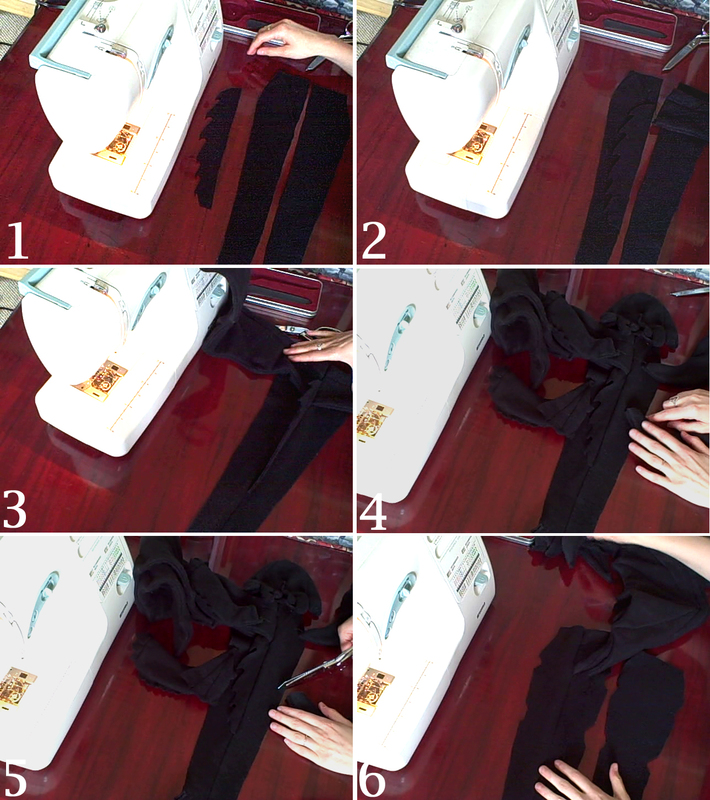 2 - Sew the two leg pieces together leaving the top and bottom open. 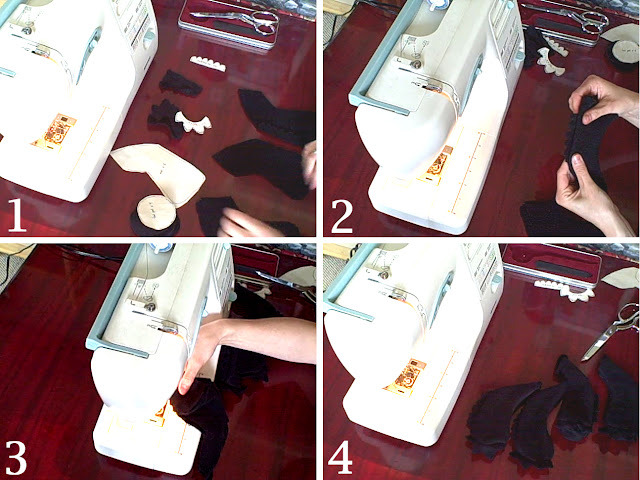 3 - Put in the toe bits and (hand) sew it on (make sure you keep track of which side you sew them to, you don't want 4 left feet!) then sew the circular pad to the bottom. 4 - Repeat until Tadaa. The "Fun" Part: 1,2,3 - Take the two back pieces and place the back fin and two wings in between them. Make sure the back fin is also between the wings. Sew it together all the way down the tail. 4 - lay all the other pieces out to get a sense of placement for the legs. Decide where the legs will go. 5 - cut out small half moons on the "back" section. 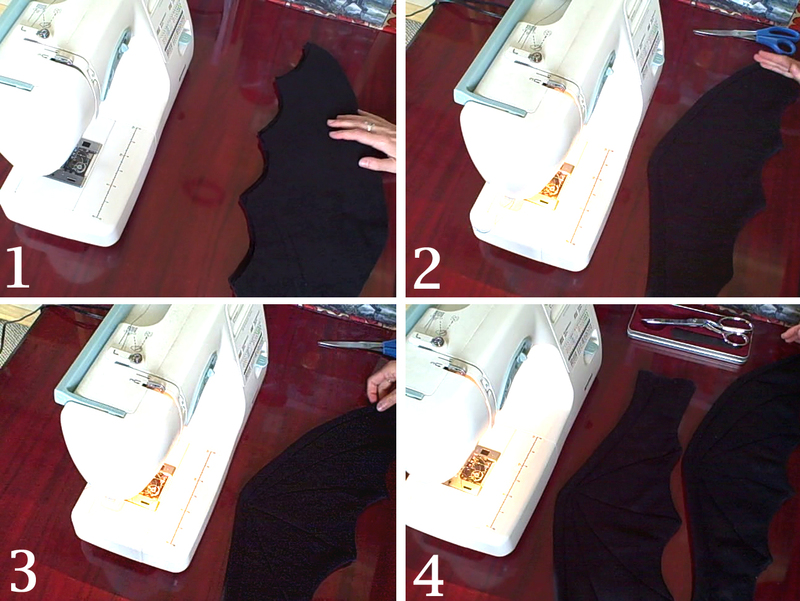 Carefully sew the "belly" to the "back" making sure to leave the small leg holes open. 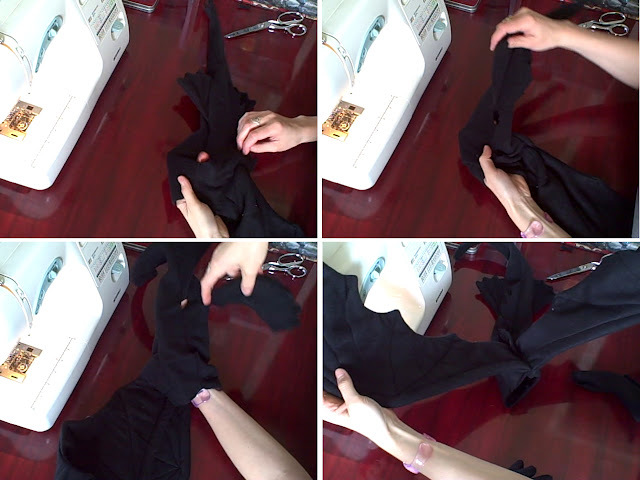 Don't forget to add the side fins just behind the back leg holes (or wherever you thought they looked best) while you sew the belly to the back. Leave the end of the tail open on both sides by about 2 inches. Stuff stuff stuff! 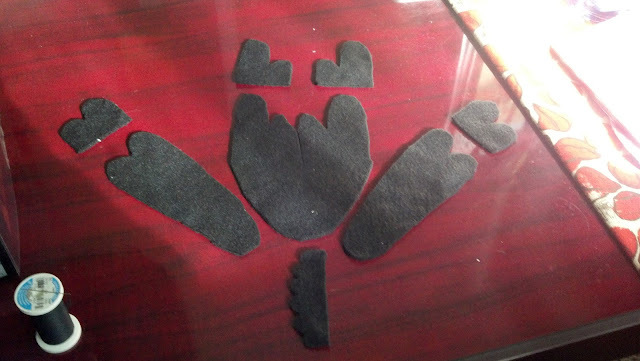 Stuff the legs first and hand sew them to the body (this way you can be sure they will all point the right way). Stuff the belly! 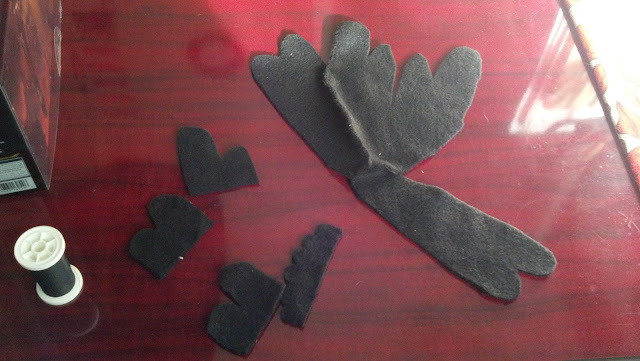 Hand sew the tail fin to the appropriate side and sew everything closed on that end (also makes it easier to add extra stuffing from this side if needed). Now attach the head. Getting the head on right is the most tricky part. I start by lining up the under jaw piece with the length of the original "belly" piece. 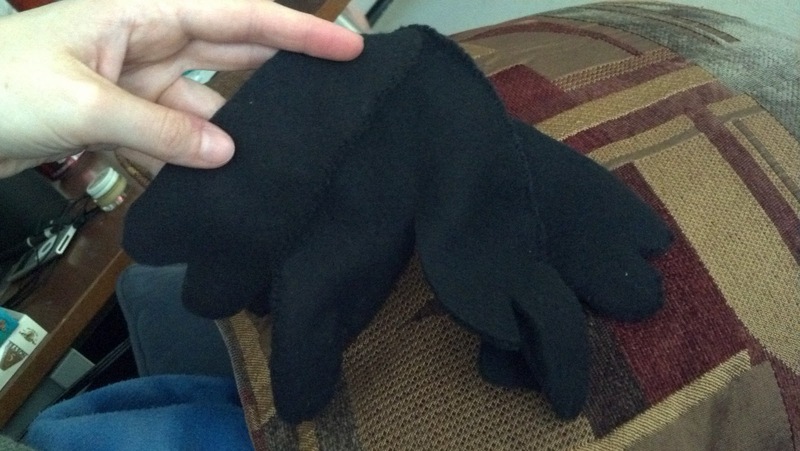 From there you'll notice that you have too much left on the head and not enough to attach it to on the back. 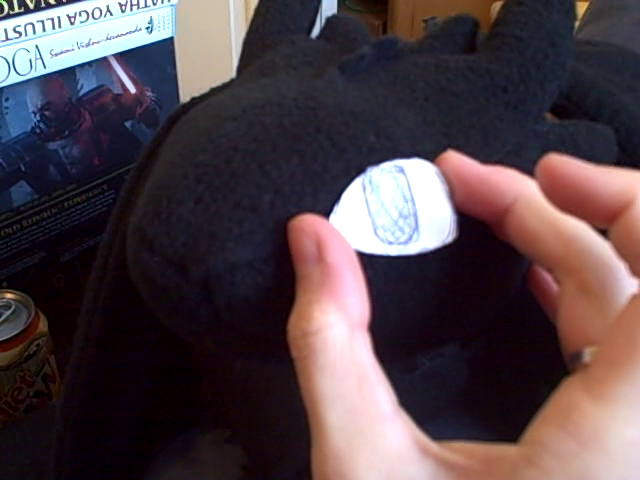 So here's what I do: I stuff the head and all the little fins, then I hand sew the edges of the fins together down the side until about halfway. That probably made no sense. OK I'm just going to zipper that tent closed! Don't forget to cut out some eyes. Again, I sew eyes on LAST because that's when they come alive! (Don't ask.) 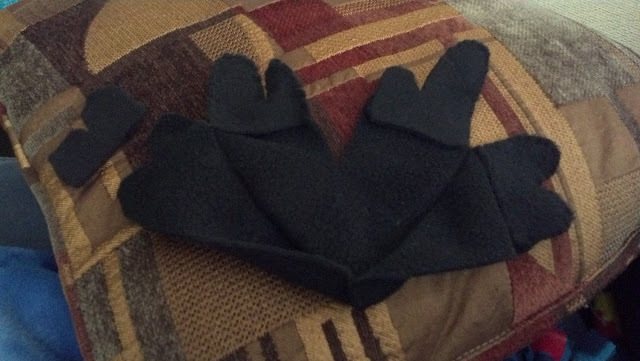 I use yellow fleece and some black scraps left over. Honestly there is no "right way" to do any of this. I'm not even convinced this is a "good way" to do it, but it works for me. You don't see the hand sewn seam for the neck much (if at all really) so just do whatever works for you. You wanna sew everything on the machine? Go for it. Wanna go it all by hand? Hell yeah. You wanna make him out of purple fleece? Why not! I plan to make two more. One a light grey and one white, just so I can have an ombre Nightfury set. Legendary. Also don't sell the patten or anything obnoxious like that. This is for fun and for private use only. Oh and give me credit where credit is due, it's just polite. love the pattern with all the picture step by step instructions! Also, I laughed because I noticed we have the same sewing machine! Tracey, I just found your blog via whipup. You're awesome! The things you crochet! And I love how funny you are. WIll be back. 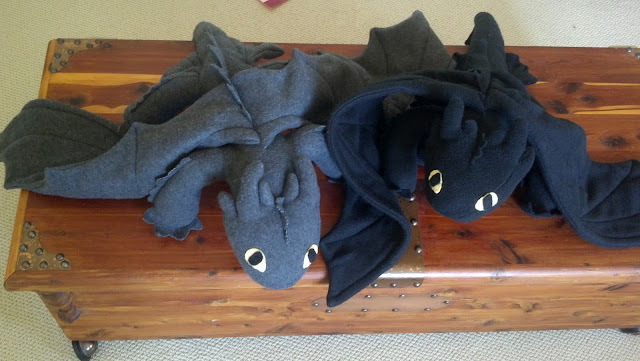 Plus I just pinned Toothless. Thank you for sharing him. Yes, Pinterest is the Black Hole Of Time. It drives me crazy. LOVE IT SO MUCH AND LOVE YOUR BLOG!! what is the wing span? and the body length? Lydia: The graph paper has a key that each square is one inch, so however many little squares go across the page! what material did you use? fleece? Do you know about how much fabric it takes to make? Hiya, yes I used fleece, and I don't know how much. At least a yard? I always buy like 6 yards at a time so I can make several, but it really doesn't take that much. 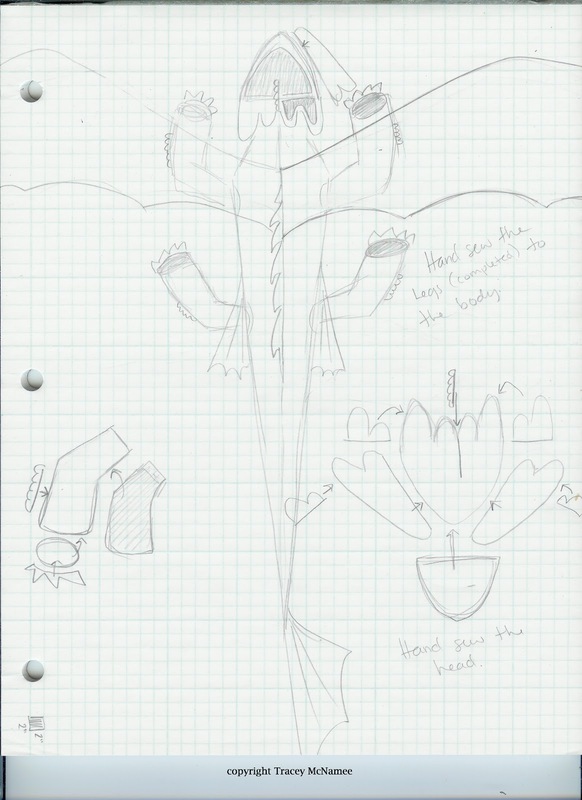 The fins say to make bigger, does that mean that I should make them bigger than the key? Hi! Very cute pattern, and I can't wait to start! 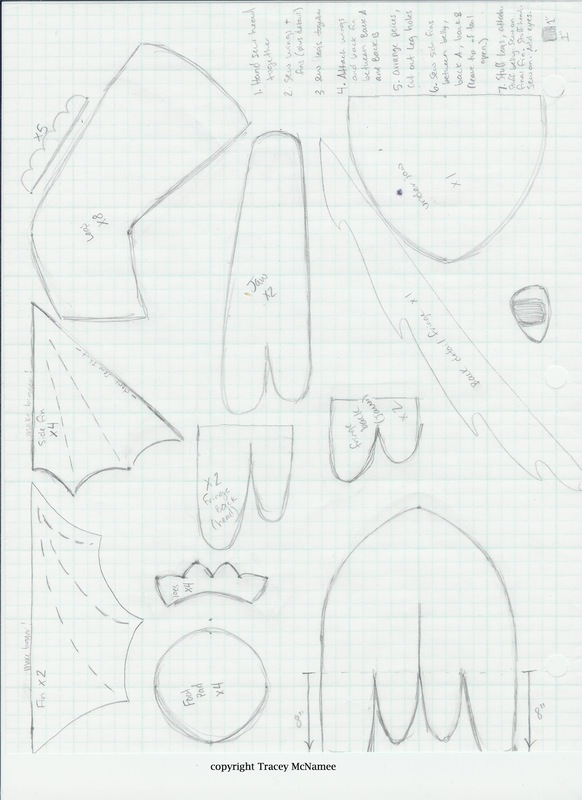 I do have several questions: 1) On the large versions of the pattern pieces, are they ready to go, as in cut them out and use them directly or do I need to draw larger to-scale versions? (The 1" x 1" & 2" x 2" squares on the pattern sheets throw me a little.) 2.) What is the seam allowance? 3.) On the fin pieces where you have written "Make bigger", what exactly do you mean? Thanks for your prompt answer! Ok, I think I must be a little dense, or maybe just too mathematically precise! 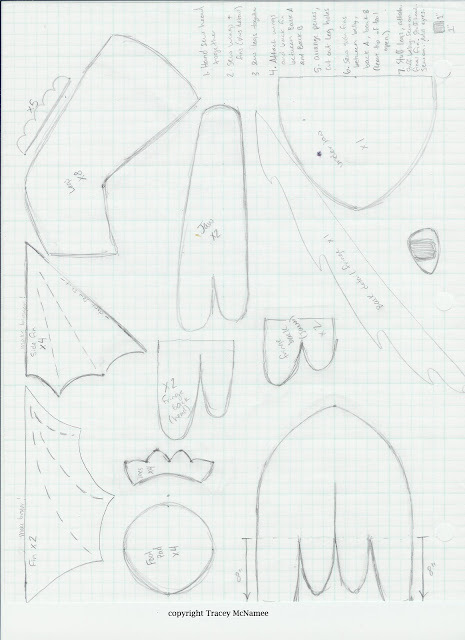 :) If I redraw the pattern in a 1 square = 1 inch ratio, then, for example, the foot pads will be 8" across and the head 14" wide. Is that right? I was thinking I might just reprint the pattern and double the size when it prints. That would put the foot pads at 2.5" or so across. What do you think? Sabra - I'm the least mathematical person ever, so doubling the print out just might be the best way to go. 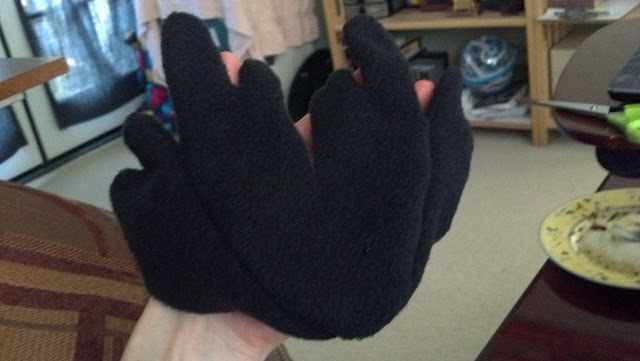 I've actually been thinking about making a half size Toothless just because when things are tiny they are SO CUTE! Just finished one for my son's first birthday, because, you know, he's too young to choose what he wants, so it was a great excuse to make one. I, at least, am in love. We'll see what he thinks in a few days! Also, I'll link back to you on my own blog (once I actually get around to writing) if that's ok. You know, to give you credit and all that. Also, this was SO my type of tutorial. Except for a few little things that were a little unclear, I love all the wiggle room. Because I am the type of person to start a recipe and just... go places. This was super fun to follow. I cuddle with Toothless more than my kid does. :-) He likes to give it kisses at least, so that's kinda cute. I found time to blog and included some photos of it, but that's about it. I'll try to sew this fantastic plush!!! thanks for ideas! thanks my daughter is going to love this when i am done. I have to make mine much larger though so this will be fun. I'm so grateful for the pattern and instructions! Thank you so much for sharing!